The royal building of Skye Service Apartment is the perfect place for the guests to spend their days in Chennai. 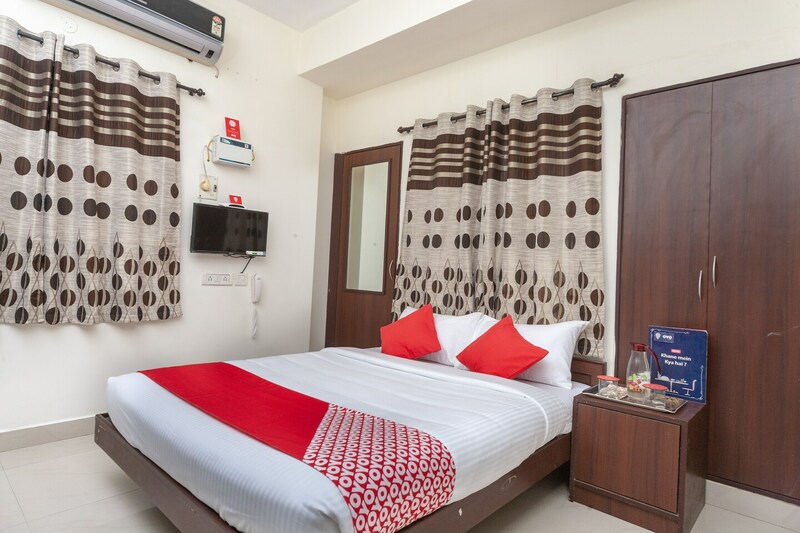 The rooms are spacious and have modern furniture, with the beautiful cushions and curtains adding to the charm of the rooms.The rooms include basic amenities which add on to the comfort of the guests. The apartment has a seating area, dining area for the guests to have a good meal, and also have a parking facility for the guests with vehicles. The hotel offers power backup facility, CCTV cameras and also card payment, making it a very convenient accommodation for the guests.